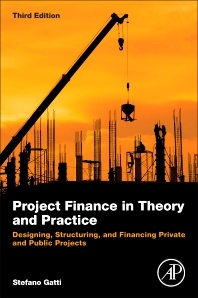 Project Finance in Theory and Practice: Designing, Structuring, and Financing Private and Public Projects, Third Edition presents a set of topics that can be applied to any project financing task. It includes essential, core material for project finance, offering new insights about Sharia-compliant instruments and a comprehensive overview of the current state of the international regulation of banking post financial crisis. This updated edition includes new case studies and topics related to country risk, along with insights from project finance experts who share their specialized knowledge on legal issues and the role of advisors in project finance details. The book is useful for readers at all levels of education and experience who want to learn how to succeed in project finance. 6. Quezon Power Ltd. Co.
"A good read as well as an excellent reference book, Project Finance in Theory and Practice is very valuable as it is successfully pitched to be useful to readers of all levels of education and experience and explains the roles and objectives of the different parties very clearly. The book can be used both for training and as a guide to best practices." --Edwin M. Charnaud, Chairman, Global Infrastructure Practice, Marsh Ltd.